*Lord, Lord, Lord, just what do we have here? Oh, nothing but some celebs making some interesting CHANGES in their physical appearances that can only make you wonder WHY? First up we’ve two “housewives” making some unusual transitions literally overnight and they are very dramatic, to say the least. Cynthia Bailey is stranger to wearing different wigs and hairstyles for each episode, but she hit up IG a nice burgundy number that seems juuuuust so right for her. Bottom line, it complements her skin tone and makes her look much younger than her real age of 50. OK, that’s Cynthia. We’re not sure you’re ready for the other housewife who’s also sportin’ a new look that happened overnight, so to speak. Leave it to Porsha Williams to go-all-tha-way BALD! Or it APPEARS that she’s bald. No matter how you slice it, it’s a shocker! If you thought that switch was dramatic though, you’re not ready for Porsha’s new ‘do — or lack thereof. Last night the Georgia peach debuted a new blonde bald look a la Sanaa Lathan that shocked her fans. Bald is beautiful… inspo @sanaalathan ? by: @kellonderyck #twocanplaythatgame ?
? ?And she gave no fux. Not even one. And she lived happily ever after. THE END❤️ #twocanplaythatgame ? We’ll see how long there new looks last. We’ll give Porsha 24 hours … maybe. 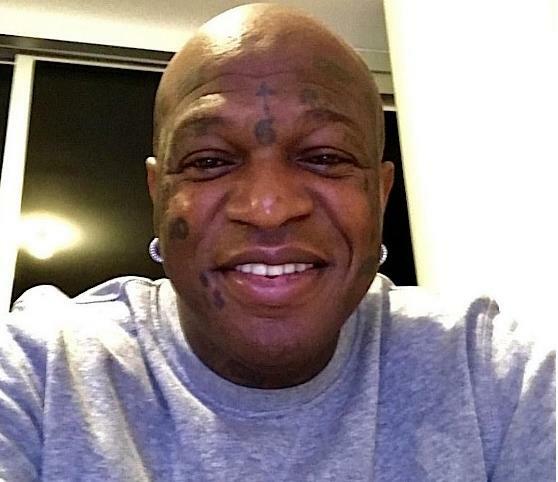 Now, for our third celeb with a new look, may we present the one and only Birdman, who’s declaring to the world that he’s getting rid of his face tats. That’s actually a really good idea, Birdman. However, after all this time of looking crazy and not giving a crap about what other folks thought, WHY now? That’s what we wanna know. Could he be cleaning up his act because of his relationship with singer Toni Braxton? 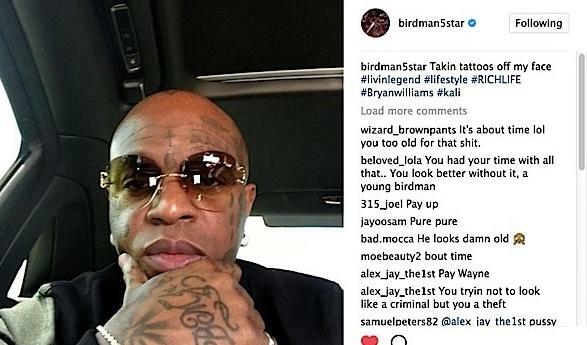 In any event, the 48-year-old Cash Money CEO shared on the ‘gram that he’s getting some of his face tattoos removed. Earlier this week, he also posted a pic of himself, minus his grill.